Dolphin Dance by Herbie Hancock is a modern jazz classic. The absence of a drummer gives Chet's playing more presence. His own metric conception settles well into this medium tempo ballad. There is some impressive "open air" blowing. Ellen and David a Chet Baker original: a lovely, bittersweet quality and we can look back with a warm feeling even when tears are near. Strollin, in 1960 written by pianist Horace Silver, features softly riveting performances by both Baker and pianist Michel Graillier. Dave Brubeck's In Your Own Sweet Way is handled by Chet á la early Miles, giving the melody a little goose right on the last note of the theme. Two more Baker originals Mister B and Beatrice, the first flowingly uptempo, the second lopingly relaxed, bring another tuneful chapter of Chet Baker's recorded legacy. As a bonus on this CD White Blues and Father Christmas (both not on LP) with that fine guitar player Philip Catherine in the last piece. Eight tunes bringing out the more intimate and touching aspects of the Chet Baker sound, a sound well captured in the cosy Studio 44 in Monster, Holland. 'Dolphin Dance' by Herbie Hancock is a modern jazz classic. The absence of a drummer gives Chet's playing more presence. His own metric conception settles well into this medium tempo ballad. There is some impressive 'open air' blowing. 'Ellen and David', a Chet Baker original: a lovely, bittersweet quality and we can look back with a warm feeling even when tears are near. 'Strollin', in 1960 written by pianist Horace Silver, features softly riveting performances by both Baker and pianist Michel Graillier. Dave Brubeck's 'In Your Own Sweet Way' is handled by Chet a la early Miles, giving the melody a little goose right on the last note of the theme. 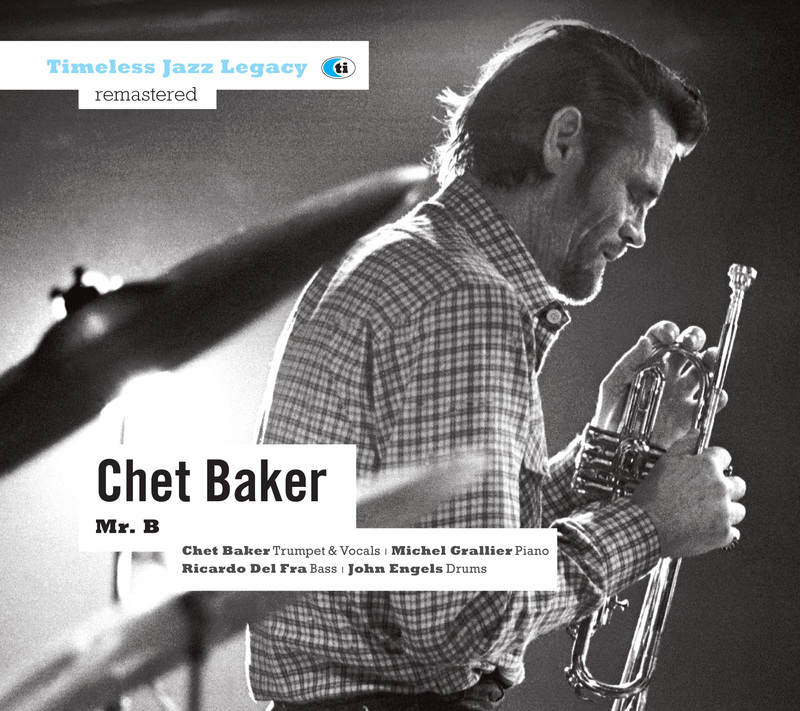 Two more Baker originals 'Mister B' and 'Beatrice', the first flowingly uptempo, the second lopingly relaxed, bring another tuneful chapter of Chet Baker's recorded legacy. As a bonus on this CD 'White Blues' and 'Father Christmas' (both not on LP) with that fine guitar player Philip Catherine in the last piece. Eight tunes bringing out the more intimate and touching aspects of the Chet Baker sound, a sound well captured in the cosy Studio 44 in Monster, Holland.